Once your order has been processed you will see a page that says "THANK YOU! Your payment was approved." 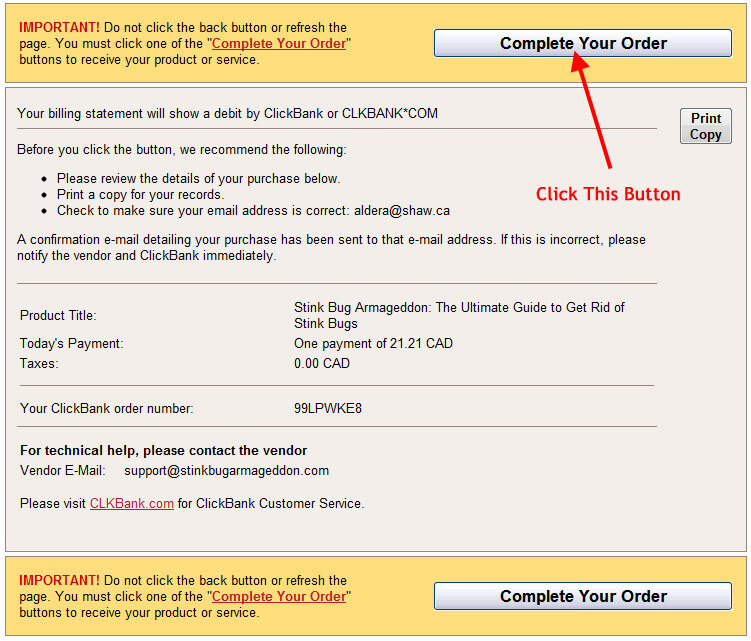 Click the "Complete Your Order" button on this page. After clicking the "Complete Your Order" button in Step 2, you will be taken to our secure download area where you can instantly access your copy of the book. Please follow the on-screen instructions once you've entered the members area. If you have any questions you can always contact me directly. 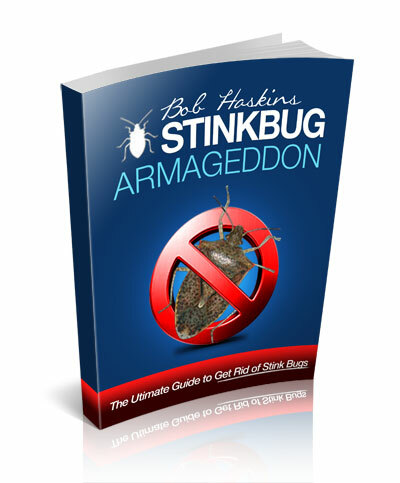 Step by step instructions on how to get rid of stink bugs without using chemicals or pesticides. Download instantaneously after completing your order. 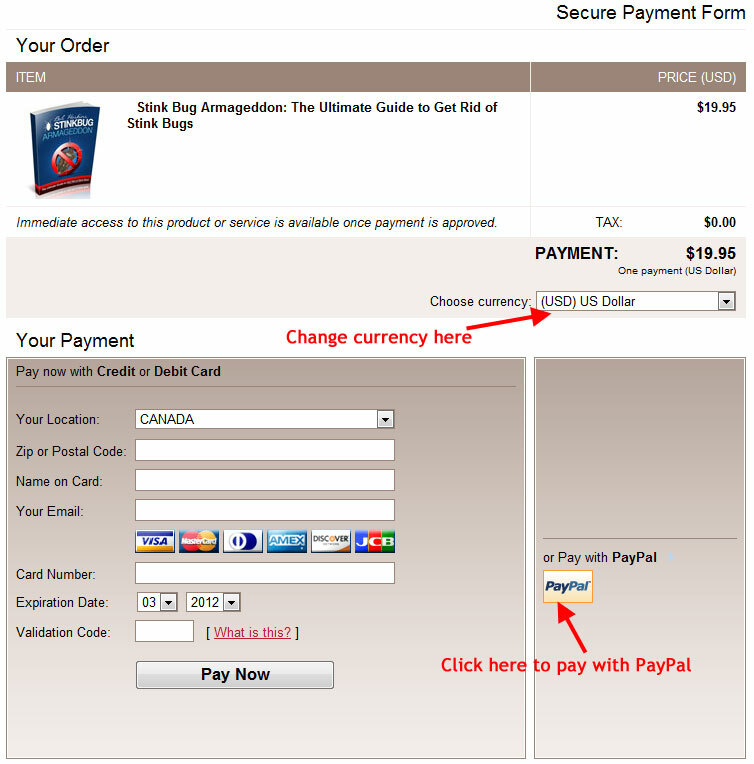 Secure payment system through Clickbank or PayPal. 2 months of email support with me included. Fell free to contact me if you have any questions before making your order. I can usually respond within 24 hours. Click the Add to Cart button below to begin your order! I understand that some people are hesitant about putting their credit cards into the internet. I assure you your credit card transaction through Clickbank is as safe as any online bank, however I will also accept payment via checks for this product if you prefer. If you would like to pay by check, please contact me for information on how to place your order.